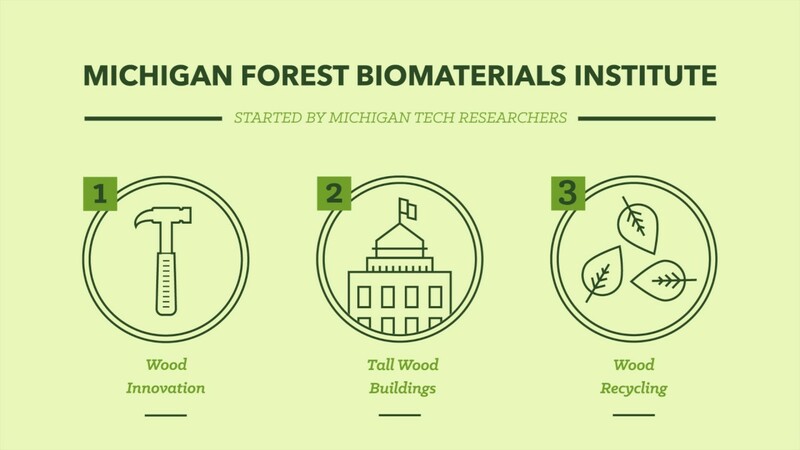 The Michigan Tech biomaterials program harnesses University-wide programs, schools, and resources to follow forest biomaterials from production, engineering, and marketing to recycling and ecological sustainability. Research projects encompass harvesting, soil productivity, policy, urban forestry, conversion of biomass into high-value carbon products, timber assessment, and acting as an educational conduit that allow the region to respond to the promising, yet-untapped market in the ninth-most-forested state in the nation. Adding value to small-diameter hazardous fuels through thermal modification. Natural Resources Research Institute, University of Minnesota-Duluth. 2015 -2020. PIs: Larkin GM, Richter DL, Laks PE. Ensuring salvaged, beetle-killed trees are utilized for the highest and best use through the application of new technologies. USDA Forest Service. 2016-2018. PIs: Dickinson YL, Ross RJ, Wang X, Rudnicki, M, Forsman JW.